The best and latest from our flagship fact series. The pack to pick if you love science and tech. Sensational facts, links and photos in an interactive layout: the power of the web, but in a book. Everyone loves to look stuff up online. 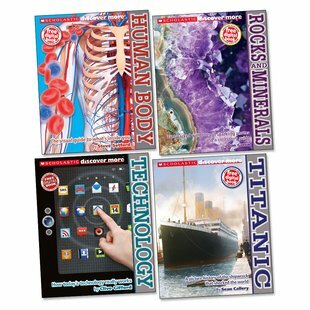 So at Scholastic, we had the bright idea: what if we could make fact books as cool as the web? Discover More is what we came up with. Books you can browse through, surfing through stunning pictures, or checking out the FREE digital companion books. Now it’s time to explore some amazing science facts and innovations in four books packed with stuff to discover.